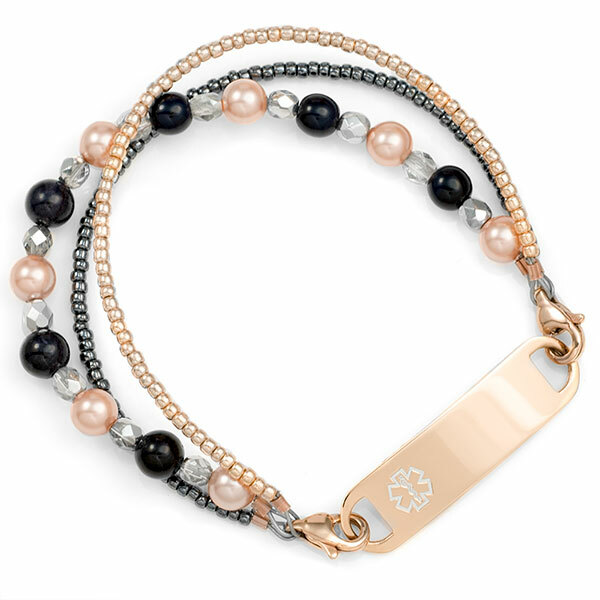 This stunning bead bracelet is made of rose peach Swarovski pearls, half silver fire polished faceted rounds, and 6mm black Riverstone beads accented with strands of rose gold and gunmetal metallic seed beads. 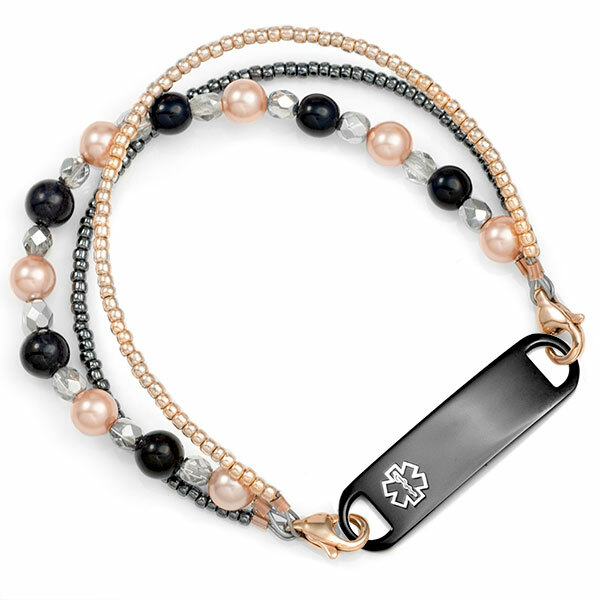 Add a rose gold tag for a complete bracelet. Remember to add the length of the tag to the length of the bracelet to achieve total length. Once you add bracelet to cart, you will see optional tags to choose from. You can add engraving to the item once it is in your cart.